Transport for Wales have confirmed that due to the delays in delivery of the five Class 769 trains ordered by Arriva Trains Wales in 2017. The new Liverpool services will now not begin to operate until the May 2019 timetable change. While NCRUG are obviously disappointed, we understand the pressures train operators face in delivering capacity with a national shortage of suitable trains. Arriva Trains Wales franchise to run services between Chester and Manchester will end on the 14th October after 15 years. KeolisAmey will begin a new 15 year franchise agreement under the Brand Transport for Wales from the 15th October and rebranding of Helsby Frodsham and Runcorn East Stations has already been completed..
TfW have promised a £5 billion investment in rail services over the 15 year franchise with new trains and extra services laid on. NCRUG would like to take this opportunity to thank Arriva Trains Wales for their support over the past 15 years and look forward to working with new rail operator Transport for Wales from October. North Cheshire Rail Users Group has started to produce new branded merchandise over the past couple of months which have proved a huge success. All profits from the magnets will go to our Halton Curve celebrations next year. 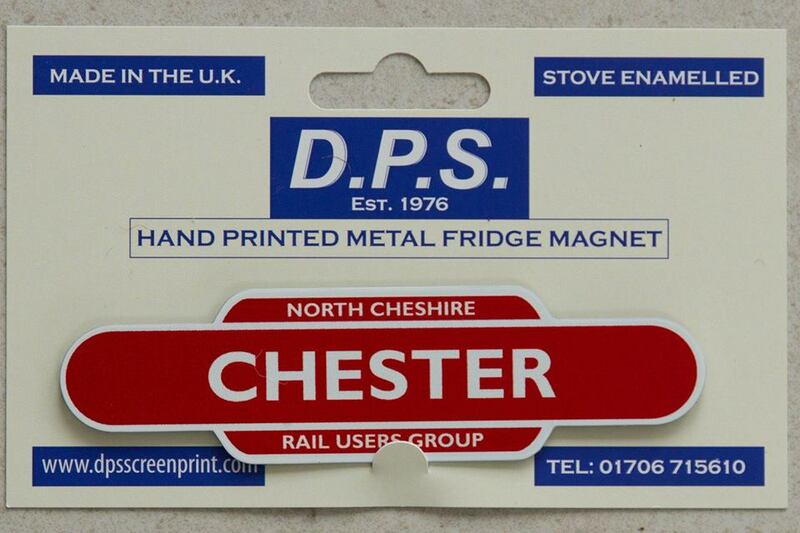 The Magnets are based on the old BR totem design for Chester Helsby and Frodsham. A special commemorative edition to celebrate the 35th Anniversary of Runcorn East Station will be released on the 3rd October. The magnets are available in a number of places. 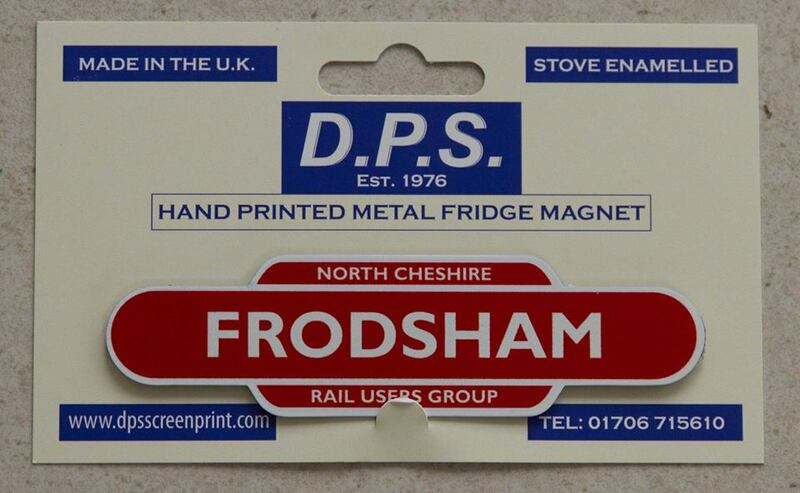 They can be purchased online at our Facebook page or Paws and Claws pet shop at Frodsham Railway Station have a good supply of the Frodsham totems and more limited supplies of the Helsby and Chester magnets. They retail at £2.50 plus P&P if purchased from our Facebook page. 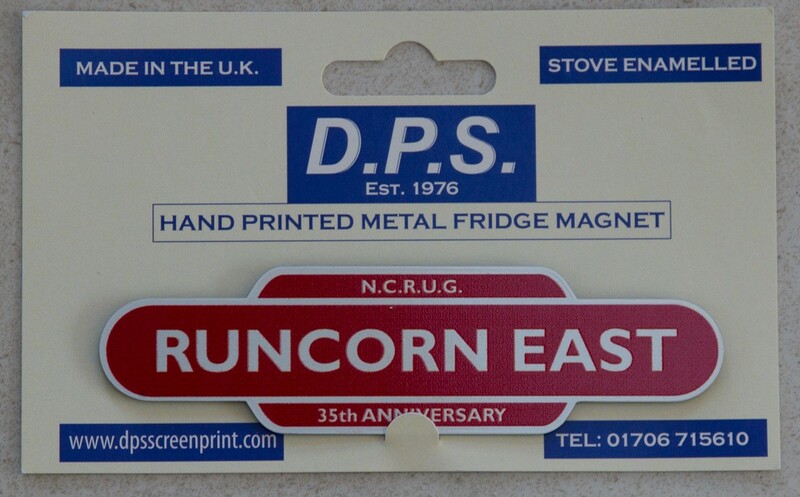 Runcorn East 35th Anniversary magnets can be purchased direct at Runcorn East booking office from Wednesday 3rd October or direct from our Facebook page for the special price of £2.00 plus p&p if buying online.